Rat Management in School and Community Gardens. It is important for food-safety reasons to manage rats in school and community gardens. Rats and other wildlife can carry a number of diseases that can be deposited in the form of urine and feces on fruit, vegetables, and in the soil. Rats can also directly damage fruit and vegetables by consuming the produce entirely or by gnawing on parts of it and making it unfit for human consumption. Norway rats create burrows that can compromise beds and root systems. While rats can also chew on drip irrigation and damage the tubes, it is more common for some other wildlife species to chew on these. Managing rodents in and around school and community gardens can be difficult. One of the easiest ways to keep many rodents at bay is to remove their food source. Given that the main purpose of a garden is to grow food, it would be counter-intuitive to remove the food. However, there are many management options available to people working in gardens that are trying to protect their food from rat damage. Making sure that the landscape surrounding your garden is well maintained may help with the management of rats. Lots of cover in the form of landscaped shrubs, trees, untrimmed palm trees etc. can provide a lot of harborage for rats to live in. These should be trimmed up and off the ground and should not be densely planted if they are in the area. Compost can provide ample harborage for rats. It is recommended to not compost food in the immediate vicinity of your garden and any other green waste should be attended to regularly to make sure that rats do not establish colonies in compost piles. Feeding of wildlife is illegal in the State of California. Therefore, the provision of food for any wildlife is illegal. The provision of food is not only illegal but it can also induce secondary pest problems like rodent outbreaks. The feeding of feral cats should also be strongly discouraged, particularly in areas where their feces could contaminate soils and other food. Trapping can be a very useful tool for the management of rats in gardens. If you have a rat problem in your garden it is important to be realistic about the number of snap traps that will be required to manage the issue. One or two snap traps will not curb a population. It is important to saturate an area with snap traps. Consider trapping at multiple levels also (inside beds, outside beds, on the ground, on fence lines etc.). Please be mindful of other community garden volunteers. It is important to let them know where snap traps are to reduce the risk of injury on encountering a snap trap. If you are working in a school, snap traps can be set in the evening and checked in the morning before the children get to the garden. Snap traps should not be set in gardens during the day when children are present unless they are secured in trapping stations that can be provided under contract from a pest management professional. Snap traps can also capture nontarget wildlife such as birds and reptiles. Please be mindful of these when setting traps. Nontarget mortality can be reduced by trapping only at night or by using trapping stations that can exclude nontarget wildlife. It is not advised to live-trap any wildlife in a garden. Once you trap a rat, under law, you must either release it right where you captured it, or euthanize it humanely. 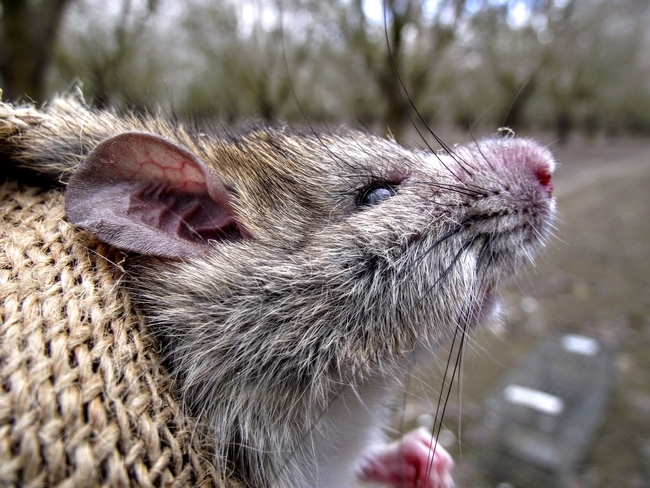 The use of rodenticides to manage rats in and around gardens is actually not considered legal. The majority of rodenticides available for purchase for unlicensed applicators are for structural use only. It is permitted to have rodenticide in gardens as long as you are using it to control rodents that are invading a man-made structure such as a shed, storage barn, or building. All rodenticides that are registered to manage rats must be applied in bait stations no more than 50ft away from the man-made structure, although some labels permit going further away (up to 100ft). Placement of snap traps: (a) single trap with trigger next to wall; (b) the double set increases your success; (c) double set placed parallel to the wall with triggers to the outside. 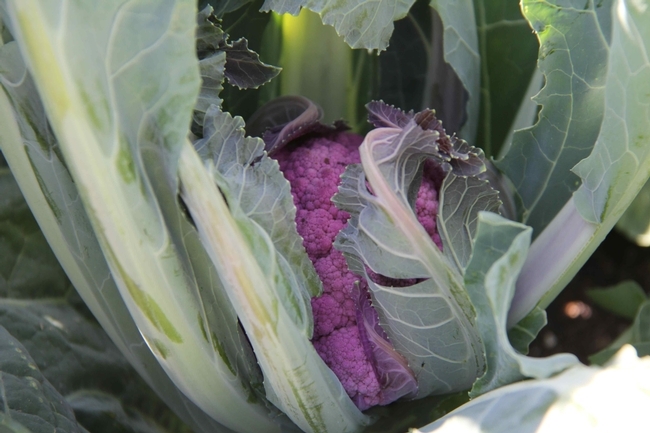 Santa Clara County is among several California counties and cities now considering local implementation of AB 551, the Urban Agriculture Incentive Zone Act, which became state law in 2014. Once enacted at the local level, AB 551 offers a potential tax reduction for land owners who lease their land for urban farms and community gardens. At this point, San Francisco has the only such zone. On February 10th, 2015, the Santa Clara County Board of Supervisors took the first steps toward creating urban agriculture incentive zones. Interested cities within the county would also need to implement the measure. There's plenty of interest in San Jose, Santa Clara County's largest city, where urban farm advocates hope that implementing AB 551 would allow small-scale urban agriculture to be viable in an urban area where land values are high. Garden to Table is one of the community groups leading the local push for AB551. They hope that improving access to land for urban growers will also enhance options for access to local foods. Garden to table staff developed a report on the implementation of AB551 that may be of interest to groups in other counties and cities around California (see link below for the full report). They used census track and property tax data, general plan designations, and more to analyze suitability of land for a potential urban agriculture incentive zone. Thanks to support from The Health Trust, Garden to Table is embarking on a second research phase for adopting AB 551 in San Jose and Santa Clara County. Over the next year they hope to build a network of property owners and urban agriculture organizations, and collect data about interest from community members. Non-profit group Garden to Table hopes that AB551 will allow it to start more urban farms like its Taylor Street Farm in San Jose. 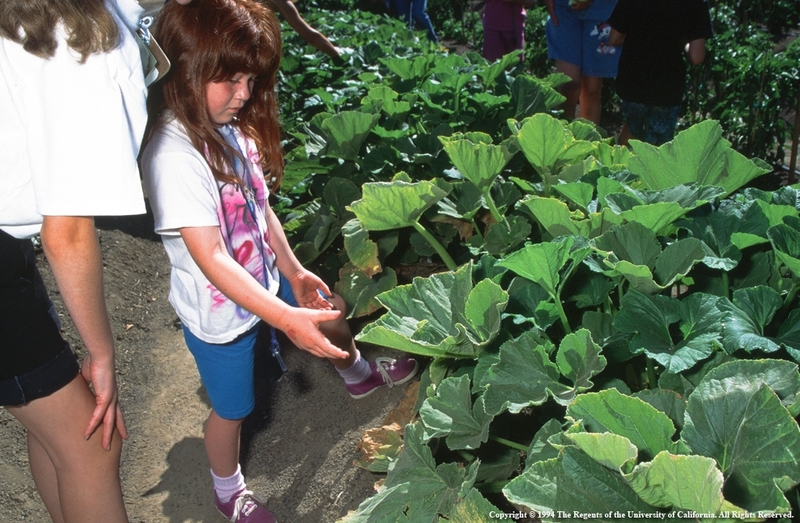 Marin County's waitlists for community gardens can be up to four years long. Exacerbating that problem is the fact that it can take up to seven years to launch a new garden. Clearly, the demand for community gardening is not being met in the county. * The problem is complicated by the fact that there are eleven separate municipalities in Marin, in addition to the unincorporated county lands and 19 school districts. Of the approximately 75 public schools in the county, 50 have school gardens, most of which have problems sustaining their school garden programs, particularly in the summer time, and particularly in the lower-income communities of the county. A well-supported comprehensive school garden program is an uphill battle considering this fragmentation, but steps are being made. Despite the individual wealth in many of our cities, our low-income communities suffer from a significant health and income disparity. This disparity shows up in longevity rates: in the Marin municipality of Ross, the average longevity is 88 years, and in the Canal area of San Rafael, the average longevity is 77.4 years – a 10.6 year difference. In one area of Novato, the difference is even greater at 75.2, or 12.8 years. ** A big part of the solution to this health disparity is access to better nutrition. For educational reasons, as well as actual produce production, community and school gardens are a part of the solution and can be an integral part of a healthy and active lifestyle. The Canal Community Garden in San Rafael took nearly eight years to launch, getting approvals, raising money, and finally building. The process was like pulling teeth in large part because policies are not in place to streamline approvals, and little funding has been dedicated to the issue. Additionally, public awareness of the important benefits of community gardens is still low. Potential benefits include community resilience, improved health, environmental benefits, community building, outdoor education, reduction in crime rates, and savings on food bills. Individual residents' objections are often ill founded, or gardens are misunderstood. Most community gardens now adhere to strict performance standards which prevent many of the problems that residents imagine. Both broader public awareness of the benefits, and streamlining city ordinances would help facilitate approvals. This is true despite the fact that many city officials try to champion these projects. Mill Valley's, original community garden, for example, has a waitlist of more than 70 people; a several year wait. Although many city officials supported the idea of a second community garden, it has taken seven years to launch the second 38-bed garden. It is the exceptional case when a community garden is launched is less time. Often the shorter time period is because the land and/or water is privately owned by faith-based institutions or individuals, and in one case, a golf course! Efforts coordinated by The Marin Food Policy Council (MFPC) and UCCE Marin took on this problem on a couple years ago. Their focus is on food security in lower-income communities. The county has 32 low-income schools, defined by 30% or more of their student body on the government program Free and Reduced Meal Program (FRMP). They developed templates for planners, commissioners, and city council members to list community gardens in zoning codes as a “permitted use”, and charged a UCCE Marin Community Garden Program Coordinator to identify and develop a map of potential sites for community gardens in the county, and “encourage garden management support through meet-ups, garden tours, and a conference.” The meet-ups and tours provide a place for the exchange of ideas and best practices. The Coordinator position also allows for a centralization of some of the school and community garden material and resource needs such as seeds, starts, tools, compost, mulch, via seed/tool libraries, banks, material yards, or simple donations. Countywide garden volunteer coordination is part of this effort as well. The fragmentation in the county makes these efforts very challenging, but it is exciting to push forward Marin County Urban Ag in this way! A high vegetable intake is associated with a better quality diet that is lower in calories and higher in fiber, and yet, access to fresh vegetables is a major public health problem in the United States. As a result, national health surveys indicate that children and adolescents are eating fewer vegetables than is recommended for optimal health. Vegetable consumption falls well below the US Dietary Guidelines in much of the US, particularly among African American, Latino, low educational attainment, and low income populations. Community gardens are a well-documented solution to increasing intake of fresh vegetables in the US. Unfortunately, community gardens are not common in many low income communities and cash strapped households have neither the time nor access to transportation to travel to a community garden. Home gardens are another solution to improving access to fresh produce and enhancing community food security in poor communities. However, research on the ability of home gardens to increase intake of fresh vegetables by participants is sparse, most likely due to the informal nature of home gardens as well as their enclosed and private nature. UCCE researchers conducted a project to compare participant background characteristics, vegetable intake and program benefits of two different forms of urban gardens in San Jose, CA: the home garden versus the community garden. The study was a partnership with the Parks, Recreation and Neighborhood Services Department of the City of San Jose and La Mesa Verde (LMV), a project of Sacred Heart Community Services of San Jose. The UCCE research group worked with the Parks Department to administer a 30 question background survey to 83 community gardeners in 4 different gardens during April through September 2012. The same survey, slightly modified, was administered to a group of 50 home gardeners participating in Sacred Heart's LMV project between September 2013 and April 2014. A comparison analysis of the two surveys produced some interesting results. The group of home gardeners were significantly younger, lower income, less likely to have completed college and more ethnically diverse than the group of community gardeners. In other words, the background characteristics of the two groups varied significantly. In spite of these significant demographic differences, both groups increased their vegetable consumption from the garden to the same extent (1.9 +/- 0.9 additional servings per person per day for home gardeners versus 2.0 +/- 0.8 additional servings per person per day for the community gardeners). In fact, both groups met the US Dietary Guidelines for recommended daily servings of vegetables to promote optimal health when eating from their gardens. The two study groups differed also in their years of experience as gardeners. Fifty eight percent of home/LMV gardeners reported having less than two years of experience whereas only 33% of community gardeners were novices. The top three benefits reported by home gardeners were fresh air, stress release, and instruction in gardening basics. Community gardeners reported their top benefits as exercise, meeting with friends and learning from other gardeners. Results of this survey demonstrate that growing fresh vegetables in either a home or community garden setting contributes significantly to nutritional intake and food security at all income levels by encouraging a healthy more affordable diet. Urban gardeners also experience a number of other benefits including exercise, stress release, and learning about gardening from their peers and mentors.